August is a notoriously quiet month for the beauty industry with clinics, medispa and beauty salon services often see a lull in product sales and spa treatments during this month, as clients go on holiday abroad. One of the most important factors in attracting clients during the quiet summer months is having a marketing strategy in place so you can tailor you offers, spa treatments and services so that they are focused toward your clients needs that month. No point promoting high strength treatments such as the Deep Sea Peel for example, when in reality very few people would even consider doing this kind of treatment when the sun is shining. However, everyone would love to get their skin glowing ready for a holiday, so offering a the CosMedix EVEN Deluxe Med-Facial, which is packed full of antioxidants to help revive the skin is ideal. It’s also the perfect option for post-sun exposure recovery! Here are just a few ideas on how to build confidence in your medi-spa and beauty salon services, to offer more attractive offers to your customers and ultimately boost sales during the quiet summer months! 1. Consider discounting facial treatments when the customer purchases as part of a treatment package. Allowing them to spread the cost or pay by Direct Debit is an excellent incentive if money up front is an issue. There are payment processors that will allow you to set up Direct Debits and recurring payments easily, so it takes all the fuss out of the transaction! 2. Offer loyalty schemes on product purchases. Give extra points when homecare is purchased at the time of treatment. This will encourage them to buy home care, which often leads to repeat purchases in the future. 3. Offer free treatment add-on’s or upgrades to existing treatment. For example, if your client buys a CosMedix Medi-Facial, upgrade them for FREE to a Deluxe Medi-Facial or throw in a FREE additional service that is low cost to perform, but high value perception to the client. 4. Consider running a competition. For example “Buy any CosMedix home care item and get entered into a competition to win a FREE CosMedix Med-Facial worth £75”. All you need is a few entries and you’ve already covered the cost of doing the treatment. 5. Think about offering FREE items with every med-facial. Benefit Balance is fantastic to offer as promotional item, because it’s suitable for all skin types and conditions, plus it’s low cost to buy in. Remember if you order x12 or more wholesale, you receive one FREE! That makes it a very attractive bonus gift to their facial. Of course, there is no use spending time, money and effort creating special promotions if no-one knows about them! Utilising internet marketing as part of your marketing strategy is vital for lead generation if you wish to attract new customers through the door. Share over social media – Facebook Pages, Twitter and other social media platforms are internet marketing tools that are all free to use so make the most of them. Tag Medico Beauty in on your post and we will share to help promote your business. Consider paying for Facebook advertising. This is an excellent way of reaching new customers in your area. Have posters / flyers designed and printed, advertising your promotions to passing trade. There are electronic alternatives available if you don’t wish to pay printing costs. Attend local networking events or think about doing cross-promotions with local businesses that suit but don’t compete with your business. Juice bars, health food shops, gyms, yoga classes etc all make excellent cross-promotion partners. 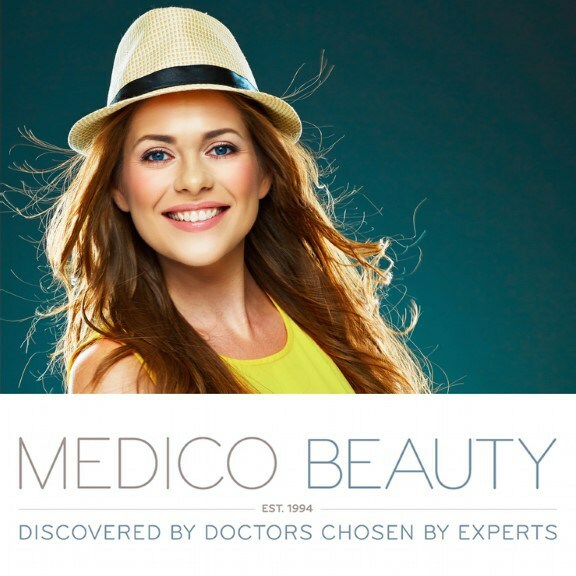 To learn more about how Medico Beauty can grow your advanced skin service within your beauty salon, medi-spa or clinic, please contact us at [email protected] or visit medicobeauty.com/professional. Good luck and we hope August is your best month yet!